What Is The Best Way To Get More Subscribers? If you can answer yes to the following questions you’ll want to get your hands on the Webinar Basics Crash Course Package! Have you been looking for a way to quickly increase awareness, traffic, and profits for your business? 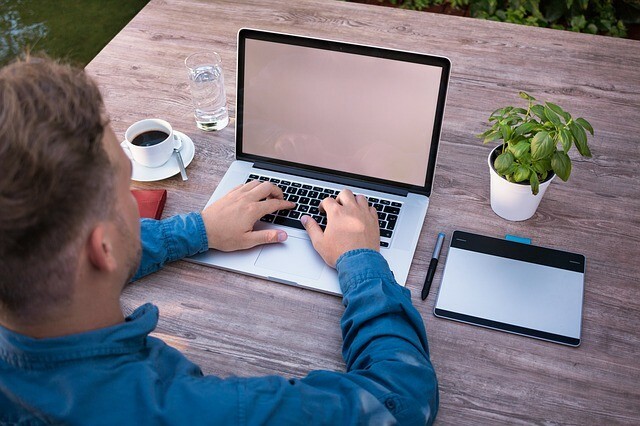 Did you know that hosting a free webinar holds many benefits for business and one of the biggest advantages is the ability to communicate your message more effectively? This not only helps you reach more people it helps you create a good rapport with them and encourages open interaction between you and the market you are trying to reach. Giving you the chance to build a solid and beneficial business relationship. Hosting webinars to build and promote your business can be an extremely effective strategy that has the potential to help your business grow faster than you ever thought possible, not to mention the power to substantially increase your profits. 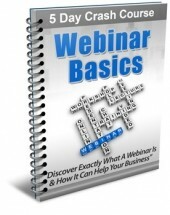 But the simple fact is most business owners don’t fully understand how to effectively use webinars to their advantage! Did you know that business owners like you can use webinars to build their brand, communicate directly with their target market and increase profits too? It’s true! 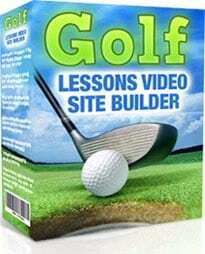 The “Webinar Basics” course was specifically designed to show even absolute beginners how webinars can be used to build a brand, increase awareness and increase profits. Even if your customers have never thought about using webinars as a part of their business plan before they will quickly understand how they can use them to their advantage! The best part is with the private label rights to this course not only will you be able to learn the ins and outs of using webinars for your own business, but you will also be able to pass that knowledge on to your customers and subscribers. You will be providing them with quality information that will help them understand what a webinar is and how they can use them to their advantage! The entire course is completely customizable. With a few clicks of your mouse, you will be able to add in your own contact information lessons in the series. You will also have the freedom to include your own product and service recommendations along with links to your favorite affiliate programs. I’m even including a ready to go to squeeze page confirmation page and sales page so that you can get set up quickly and easily! How to Use Amazing Web Sales Letters Supreme? Last, a Unique Treasury of 37 Proven, Successful Web Sales Letters — Yours for Only $14.95 NOW only $2.00. Famous copywriter Ted Nicholas (who has made many millions of dollars) didn’t say “*web* sales letter.” The Internet didn’t exist when he started making his direct marketing millions. Think what an advantage we have over him. Sure I am, or you’d be a chat room right now. Are you blaming the so-called recession? September 11? Are you driving traffic to your site but failing to make sales? Paying more for your ads, banners and pay per click engine placements than you’re making? How much do you want to succeed online? What difference would it make to your life to know that you had the skill to sell any worthwhile product on the Internet? They’re NOT even “targeted traffic, targeted traffic, and targeted traffic. That’s what this book teaches you — the pieces of web sales letters plus the principles that make them work. As you’ll see, a lot is common sense. Not rocket science or brain surgery. I’ll let you in on a deep secret — none of these success stories was BORN a good web sales copywriter! What’s made the big difference in their lives is that sometime between that birth and the beginning of their online wealth they studied GOOD copywriting. They read and re-read books by copywriters. They read and re-read the junk mail they received. They read and re-read the classic sales letters. They learned the structure of sales letters. They learned the principles behind that structure. They learned by example. They practiced. They wrote sales letters. Then they read and re-read the proven winners and compared their efforts to the masters, and changed and re-wrote their letters. Then they tested their efforts in the marketplace and tested and changed what still didn’t work. Some of the greats included in Web Sales Letters Supreme were professional copywriters before they started their online careers. But many started their online businesses first and learned to copywriter because they had to. Many of them are NOT professional copywriters. They started out as a doctor, a pizza delivery dude, a Kinko’s clerk, a reporter . . . all self-educated, self-trained copywriters. What these Internet pioneers had to do was adopt traditional direct sales letter techniques and methods to the Internet. There are technical differences related to the media, plus some different psychology involved. Easy to understand explanations of the 8 main parts of a web sales letter supreme. Once you know the structure, you can piece together an acceptance letter. The 3 Ps that are the foundation of a successful web sales letter. You must understand these before you start thinking about the mechanical parts of a web sales letter. They’re not hard, and they’re basic. An entire chapter of tips on how to format your web sales letters. When I put up my first web sales letter I made a basic typography error because of what I knew about offline printing. You can avoid repeating that mistake and others that I and others have made. Aspiring copywriters have always studied successful sales letters. The reason is obvious. The best way to learn what works is to learn from what works. You can buy books that consist of nothing but direct mail sales letters. For aspiring Internet marketers, there are two problems with these books. 1. Some of the letters are quite old. Is the venerable headline “Do You Make These Mistakes in English?” inspiring for copywriters aiming for modern Internet customers? 2. All of the letters are direct mail pieces. Although there is much for web copywriters to learn from direct mail copywriters, the media are different and have some different technical requirements. Aspiring direct mail copywriters have been using books such as this for many years. Until now, there has been no such book for web copywriters. I just went to Amazon and found a good example of a book that direct mail copywriters can use to learn their craft. You should also notice that the retail price is $79.95. Amazon’s price is $55.96 plus postage and handling. That’s three times more than you’ll pay for Web Sales Letters Supreme. You can also learn to copywriter by attending one of Randy’s copywriting boot camp. Last time I received a mailing for one, the price for one week’s training was only $5000. That’s how much aspiring direct mail copywriters value that skill. Cost savings and anthrax are forcing many small and large businesses to substitute websites for direct mailings. Web Sales Letters Supreme consists of WEB sales letters, not direct mail pieces. If you want to send out direct mail sales letters, buy those books and study direct mail sales letters. If you want to put up a winning web site, study successful web sales letters. If you read and apply what you learn in this book to your own web site . . . how many extra sales would it take to pay you back the price of this book? I don’t know what your profit margin is, and since your investment in Web Sales Letters, Supreme is only $14.95, NOW only $2.00. Most of you would more than make back the price of this book with only ONE extra sale. Get your copy of Web Sales Letters Supreme Now! Free re-sale and re-distribution rights! That’s right. Once you own Web Sales Letters Supreme you not only own your personal copy – you own the right to sell it, give it away or distribute in any way you see fit except spamming. You can charge the regular price $14.95 NOW only $2.00. I charge or more or less. You can sell or give it away to your current customers. You can give it away as a bonus for buying a product of your own. You can give it away as a bonus to people who buy a product you sell as an affiliate. You can give it away as a bonus for subscribing to your ezine. You can sell or give it away to your affiliates. You can sell or give it away to people who signed up below you in affiliate programs. You can sell or give it away to people who signed you up in an affiliate program. It makes a great Christmas or birthday present for anybody doing business online. You can do anything you want with it except spam or change it. That’s it. Don’t spam. Don’t change it in any way. Regular price $14.95 NOW only $2.00. There’s just no way to keep avoiding it! 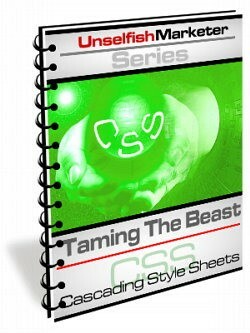 CSS is quickly becoming the standard for web design and less of an alternative. Have you ever looked at CSS code and wanted to just BANG YOUR HEAD ON THE KEYBOARD? Have you ever SPENT MONEY having someone else do something in CSS for you that probably only took the persona a FEW MINUTES? 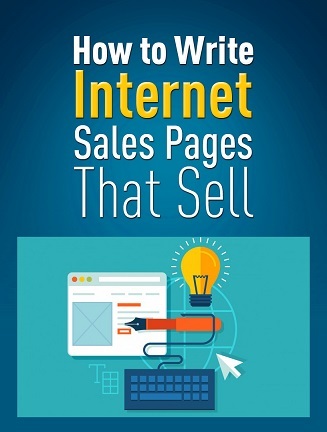 Would you like to have sizzling sales pages that POP? Would you like to be able to add cool shadows to images easily? Would you like to be able to MAKE YOUR PAGES STAND OUT IN A CROWD? EVERY person designing websites at this point and time NEEDS TO UNDERSTAND CSS. CSS is being built right into the newer WYSIWYG editors and unless you LEARN NOW you are going to find yourself struggling more and more as CSS moves further and further into no longer being optional. I worked hard at writing this in a way that will make it easy to follow and understand even for the most HTML challenged. I really believe you will get a lot out of this ebook. While you won’t come away being headhunted by Fortune 500 Web Design Companies to head up their CSS departments, you WILL be able to go through your CSS without wanting to rip your monitor off your desk and throwing it out the window. Let’s look at it another way, do you understand just what a prospective client is looking for when they are looking for a new graphic designer? They are looking for somebody that can produce designs that stand out, the kind of design that gets them noticed and brings customers to them! They are no different from you; they are also looking for customers. So when presenting sample work you should aim to provide them not with something they might like, but something they realize their customers will love! The key to all of this is great graphic design, but you wouldn’t be reading this if you cannot produce great graphic design, the real problem is the fact you may be producing the wrong graphic design. So you can produce great graphics, but this is not enough, visually pleasing does not always equally effective. Unless your graphics can also deliver the message your clients need then all those pretty pictures will go to waste. Luckily the graphic design trade does not require a university education, many talented individuals are self-taught, the most successful of these understand that they are not designing for themselves, they are designing for an audience, the audience your customer is trying to reach. 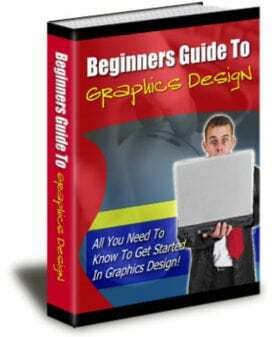 If you can master this concept then you will not need years of training and experience, you will have already grasped the most important concept of the graphic design industry. You will seldom be asked about your formal qualifications and training, you will be asked to present your portfolio, you must ensure that this portfolio shows off your skills to the fullest, keep it up to date and don’t be afraid to have several different portfolios to show different types of clients. Why work in a low paid job that requires a lot of training? With graphic design there are dozens of options for you to pursue, all of them well paying and in high demand. Either as a freelancer or employed by one company, it’s well-paid work by the hour.2) It is a growing industry, we need more graphic designers every year.As more and more companies develop a web presence then more and more designers are needed, things change fast on the internet, the website is re-developed regularly, there is a no shortage of work for a talented graphic designer. Smartphones have brought a revolutionary change in the world. 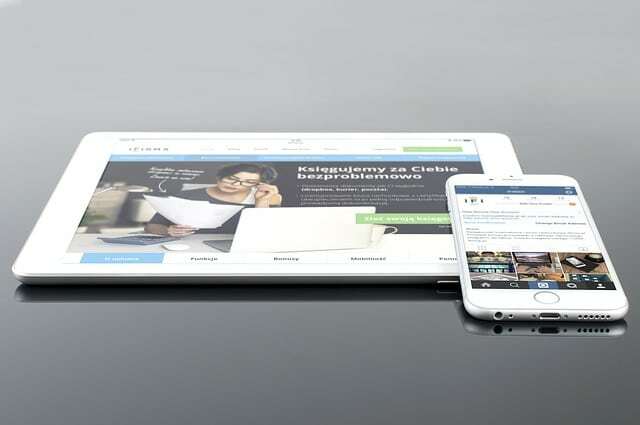 Instead of using traditional desktops and laptops people use their smartphones to search websites so it is really important to have a mobile-friendly website. One must have the mobile-friendly website in order to get Improved search visibility, Improved user experience, Increased lead generation and Improved brand identity. Look at the people making great money selling online … they write strong copy that hypnotizes you to read every word, and whip out your credit card. The problem is, most people don’t know how to put down the right words … in the right order. And until you do, chances are you won’t make any money online. That’s unless you have the budget to spend thousands of dollars on a professional copywriter. Let me be 100% honest with you… I didn’t make any money … in any kind of marketing … until I learned to become a copywriter. It’s as simple as that. Perhaps you haven’t heard of Alex. He’s not one of those internet ‘celebrities’ (yet). When actually he’s probably a lot more qualified than many to be considered a marketing guru. He’s the marketing consultant many internet experts consult with. And I’m sure it wouldn’t surprise you that Alex’s time doesn’t come cheap. As I write this he charges $300 an hour for consulting and coaching. It’s one of the most straightforward, clearly explained, and simple to follow systems I’ve ever seen for writing copy that is proven to work. How to easily start an online business for less than $200, and most importantly — how to do it the RIGHT way. How you can use the “Isolation Factor” to make a pile of money. Why “Clicks & Bricks” marketing is the easy path to huge profits. Discover how Alex instantly stands out from all his competition … and how you can too. Discover how Alex made $30,000 in one month from a simple two-page website, with only around 125 visitors a day! Perhaps that sounds impossible … but Alex reveals exactly how he did it. How to turn 50 ebooks you’re having trouble selling, into an irresistible offer. Why competing with yourself may be one of the most lucrative things you ever do online. Sound silly? Well read this interview to discover how big-name online marketers are doing it, and making serious money in the process. This really is one of those hidden secrets people don’t talk about. How to make your web page a ‘greased chute’ that slides your visitor right down to the order page. Discover the “P.R.S. Formula” to make a ton more sales. Do you know the four “power words” to use in your product titles? Offer the wrong bonuses, and you’ll lose sales. Find out how to avoid this. Why your order page is the most important page on your website, and how to write it for maximum impact. Do you need a website for you or your client? 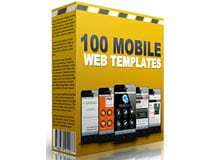 You don’t need to hire a developer you can save a huge amount by using one of these ready to use website templates. Get this pack of 33 Responsive themes fully ready you can use to build your website. 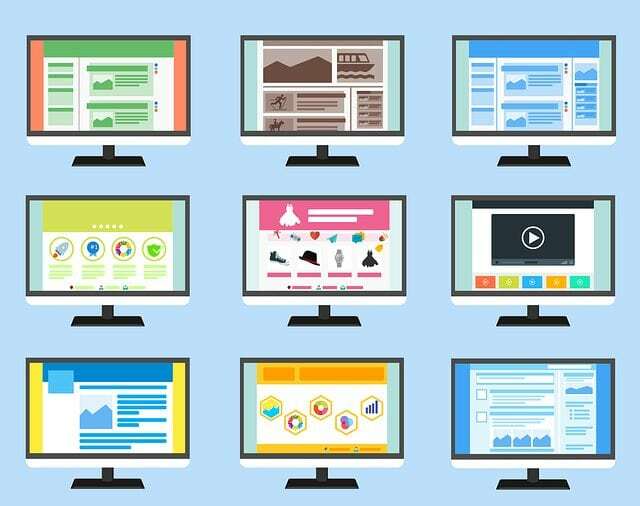 If you are a developer you don’t need to spend any more time on creating website’s frontend from the scratch you can use it to build websites for your clients as all these templates have unique designs. These templates are responsive to all mobile and tablets screens. So don’t waste any time and grab this pack of themes at a very low price.